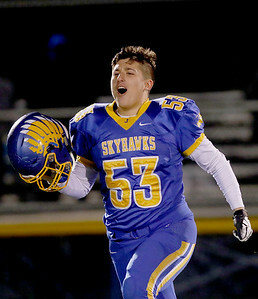 Sarah Nader - snader@shawmedia.com Johnsburg's Conner Bell celebrates after winning Friday's Class 4A semifinal playoff against Phillips Nov. 18, 2016. 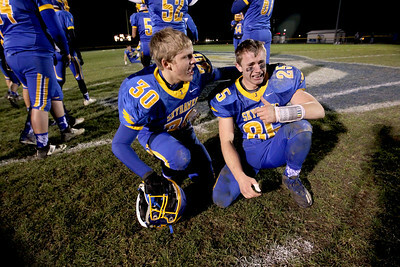 Johnsburg won in overtime, 23-20. 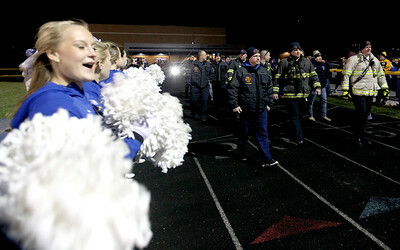 Sarah Nader - snader@shawmedia.com First responders help lead out the Johnsburg football team before Friday's Class 4A semifinal playoff against Phillips Nov. 18, 2016. 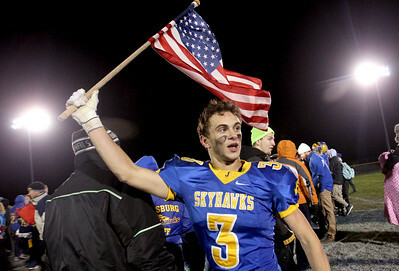 Johnsburg won in overtime, 23-20. 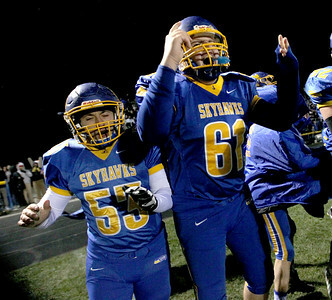 Sarah Nader - snader@shawmedia.com Aubrey Wuchter (left) and Tyler Prouty celebrates after winning Friday's Class 4A semifinal playoff against Phillips Nov. 18, 2016. Johnsburg won in overtime, 23-20. 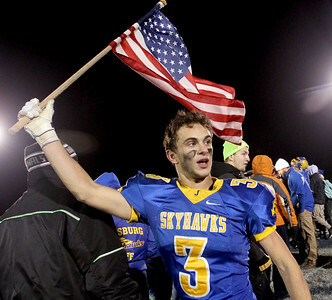 Sarah Nader - snader@shawmedia.com Johnsburg's Joe Calhoun celebrates after winning Friday's Class 4A semifinal playoff against Phillips Nov. 18, 2016. 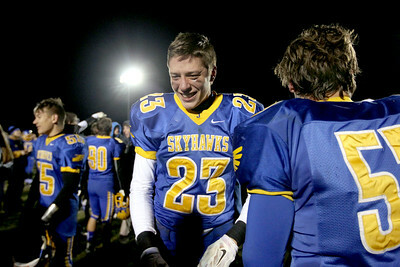 Johnsburg won in overtime, 23-20. 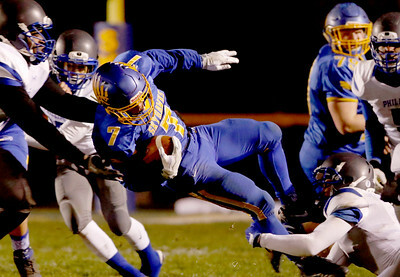 Sarah Nader - snader@shawmedia.com Johnsburg's Nico LoDolce runs the ball during the first quarter of Friday's Class 4A semifinal playoff against Phillips Nov. 18, 2016. 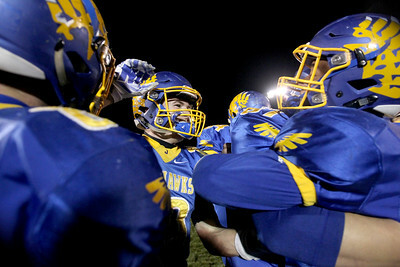 Johnsburg won in overtime, 23-20. 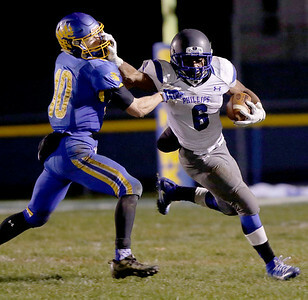 Sarah Nader - snader@shawmedia.com Johnsburg's Alex Peete runs the ball during the first quarter of Friday's Class 4A semifinal playoff against Phillips Nov. 18, 2016. 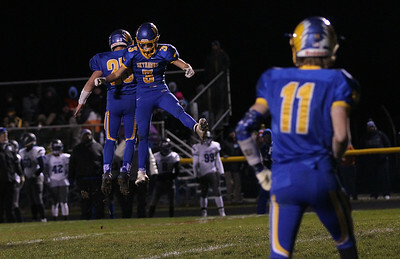 Johnsburg won in overtime, 23-20. 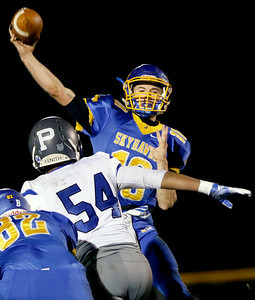 Sarah Nader - snader@shawmedia.com Johnsburg's Riley Buchanan throws a pass during thr second quarter of Friday's Class 4A semifinal playoff against Phillips Nov. 18, 2016. 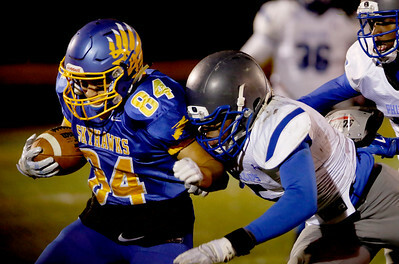 Johnsburg won in overtime, 23-20. 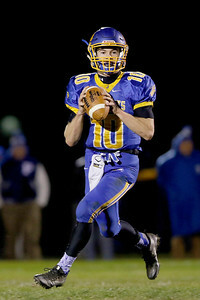 Sarah Nader - snader@shawmedia.com Johnsburg's Riley Buchanan throws a pass during the first quarter of Friday's Class 4A semifinal playoff against Phillips Nov. 18, 2016. Johnsburg won in overtime, 23-20. 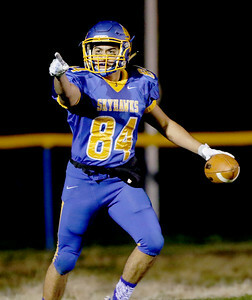 Sarah Nader - snader@shawmedia.com Johnsburg's Nico LoDolce celebrates a touchdown during the second quarter of Friday's Class 4A semifinal playoff against Phillips Nov. 18, 2016. Johnsburg won in overtime, 23-20. 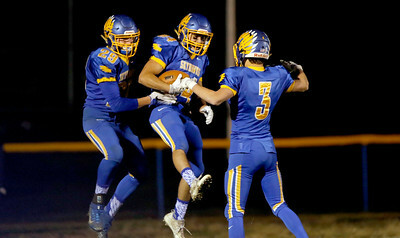 Sarah Nader - snader@shawmedia.com Johnsburg players celebrate after a touchdown during the second quarter of Friday's Class 4A semifinal playoff against Phillips Nov. 18, 2016. Johnsburg won in overtime, 23-20. 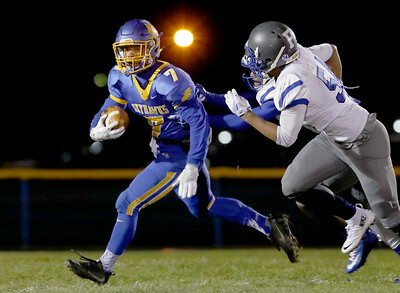 Sarah Nader - snader@shawmedia.com Johnsburg's Alex Peete carries the ball during the third quarter of Friday's Class 4A semifinal playoff against Phillips Nov. 18, 2016. Johnsburg won in overtime, 23-20. 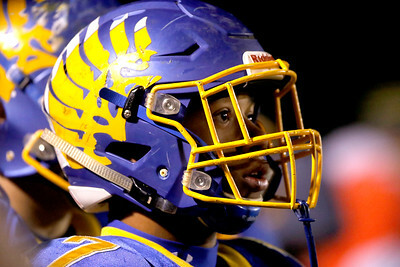 Sarah Nader - snader@shawmedia.com Johnsburg's Alex Peete watches the last seconds of the game during Friday's Class 4A semifinal playoff against Phillips Nov. 18, 2016. Johnsburg won in overtime, 23-20. Sarah Nader - snader@shawmedia.com Johnsburg's Aubrey Wuchter celebrates Friday's Class 4A semifinal playoff against Phillips Nov. 18, 2016. Johnsburg won in overtime, 23-20. Sarah Nader - snader@shawmedia.com Johnsburg's Riley Buchanan (left) grabs onto Phillips' Kamari Mosby during the fourth quarter of Friday's Class 4A semifinal playoff against Phillips Nov. 18, 2016. Johnsburg won in overtime, 23-20. 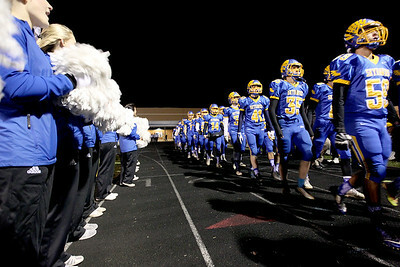 Sarah Nader - snader@shawmedia.com Johnsburg players take the field before Friday's Class 4A semifinal playoff against Phillips Nov. 18, 2016. Johnsburg won in overtime, 23-20. 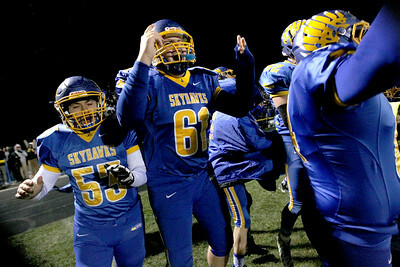 Sarah Nader - snader@shawmedia.com Johnsburg's Austin Butler (left) and Conner Bell celebrate a touchdown during the first quarter of Friday's Class 4A semifinal playoff against Phillips Nov. 18, 2016. Johnsburg won in overtime, 23-20. 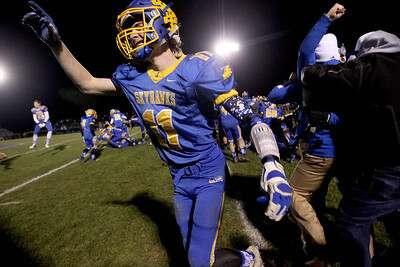 Sarah Nader - snader@shawmedia.com Johnsburg's Austin Butler (right) celebrates after winning Friday's Class 4A semifinal playoff against Phillips Nov. 18, 2016. Johnsburg won in overtime, 23-20. Sarah Nader - snader@shawmedia.com Johnsburg player celebrate after winning Friday's Class 4A semifinal playoff against Phillips Nov. 18, 2016. Johnsburg won in overtime, 23-20. 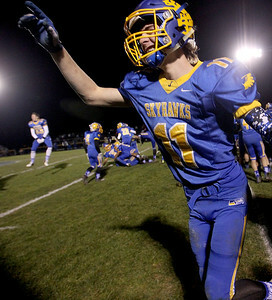 Sarah Nader - snader@shawmedia.com Johnsburg's Brody Frazier celebrates after winning Friday's Class 4A semifinal playoff against Phillips Nov. 18, 2016. Johnsburg won in overtime, 23-20. Johnsburg players celebrate after a touchdown during the second quarter of Friday's Class 4A semifinal playoff against Phillips Nov. 18, 2016. Johnsburg won in overtime, 23-20.